Supplied in moist form, these ready-to-use Amaco clays can be shaped by hand or thrown on a wheel. They can be decorated with tempera or acrylic paint. Marblex Gray Clay — Marblex is a moist, ready-to-use, air-drying gray clay. Modeled objects are hard and durable, but not waterproof. Decorate with opaque tempera if desired. 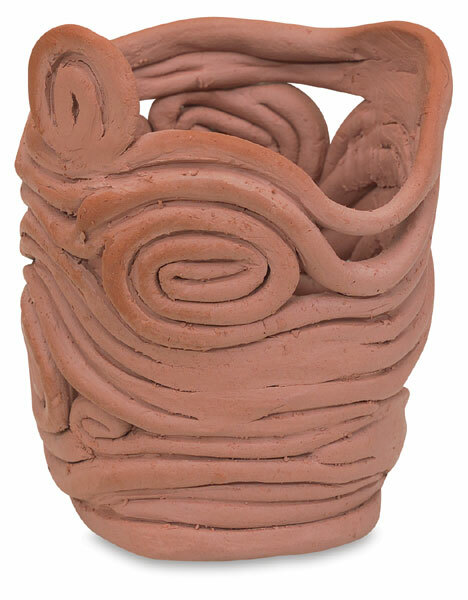 Mexican Pottery Clay — Objects modeled with Amaco's Mexican Pottery Clay air-harden without firing to a rich red color similar to Mexican or Indian pottery.They need little or no decorating. Stonex White Clay — Objects modeled from Stonex White Clay air-harden without firing or baking. Decorate with tempera or acrylic if desired.